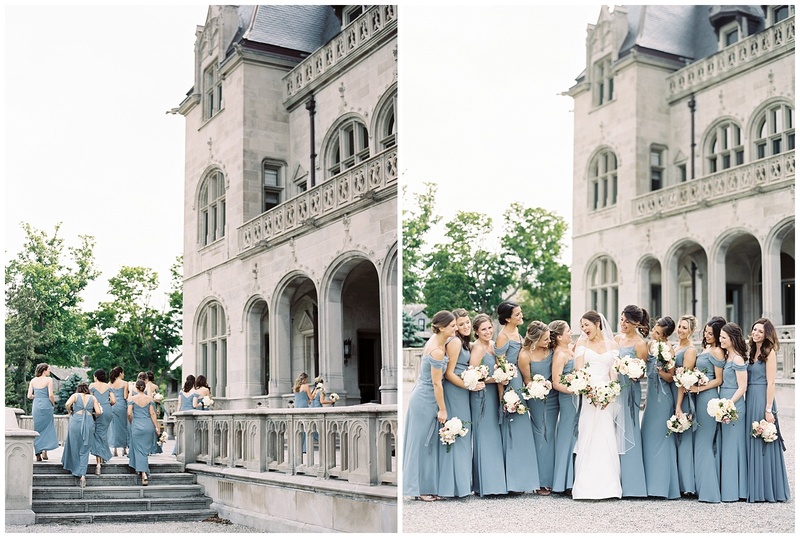 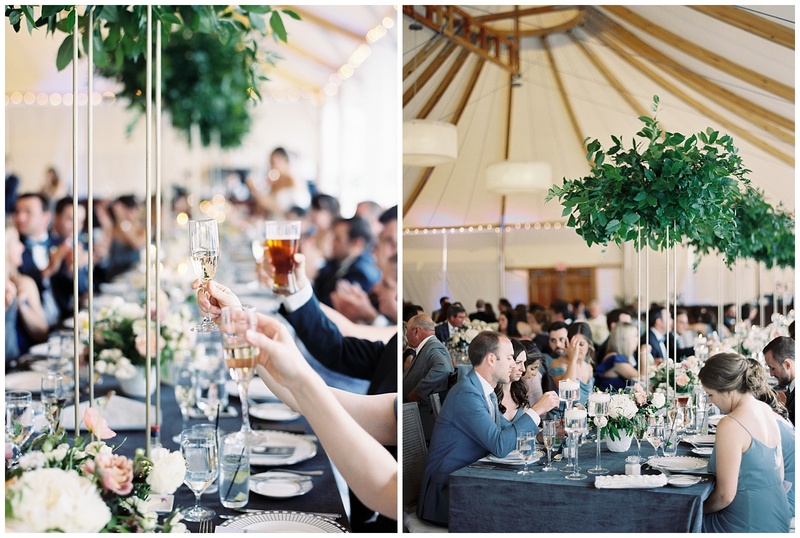 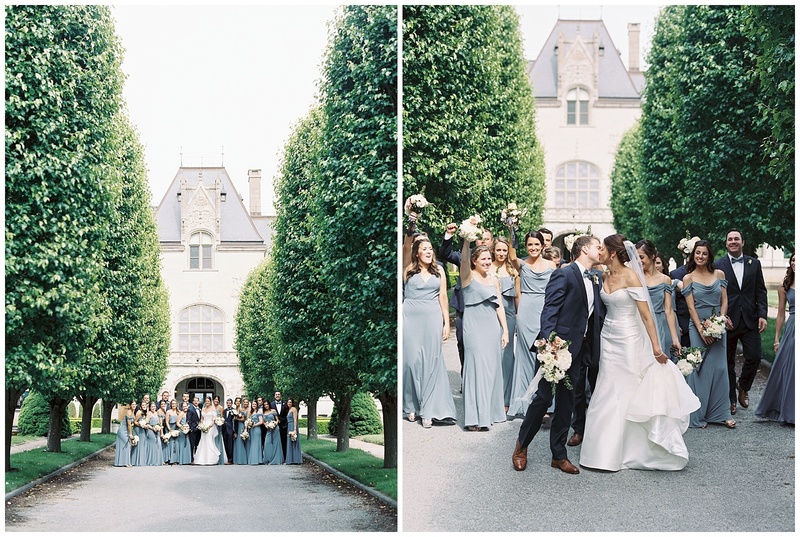 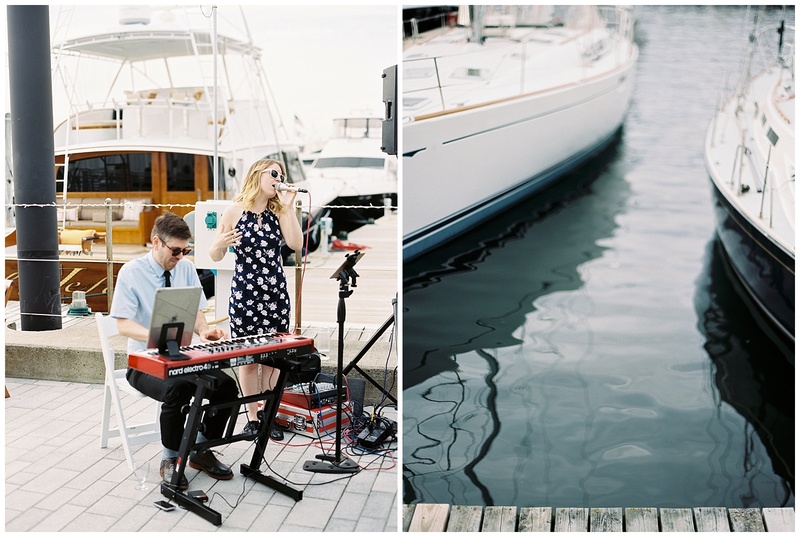 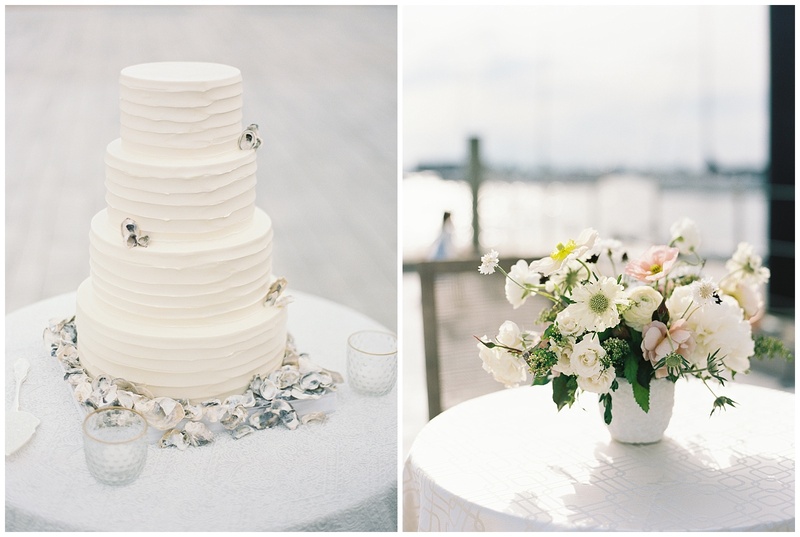 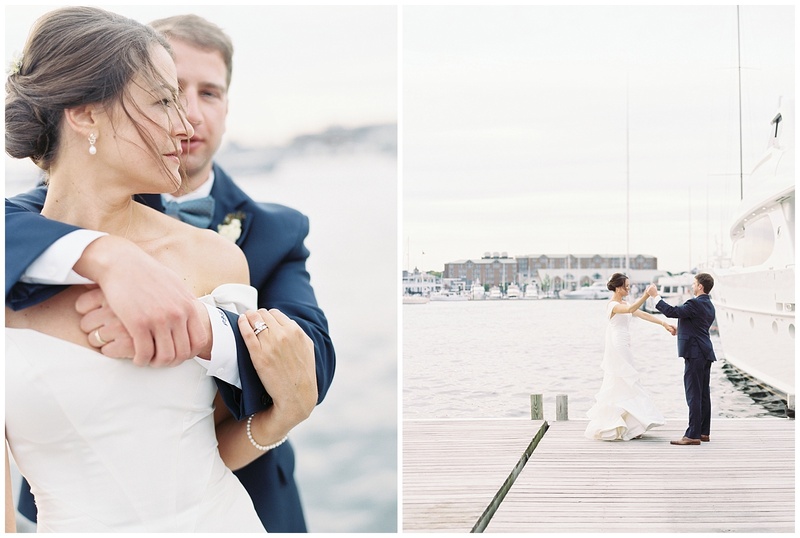 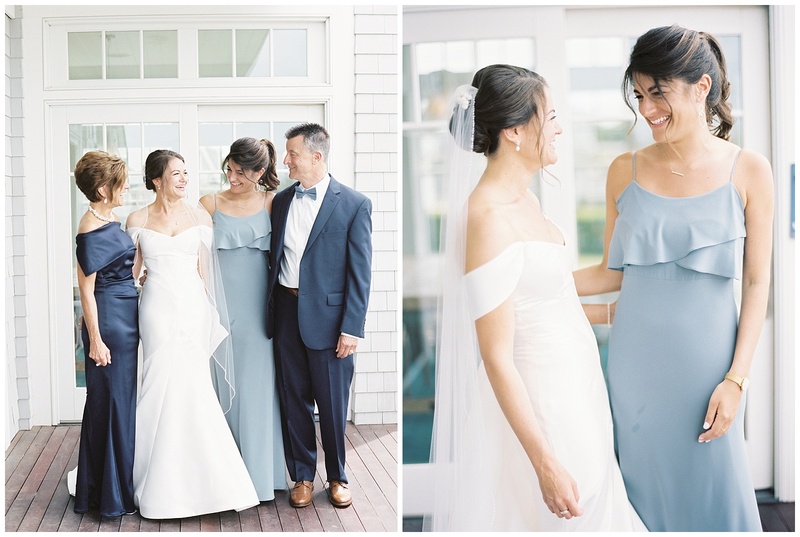 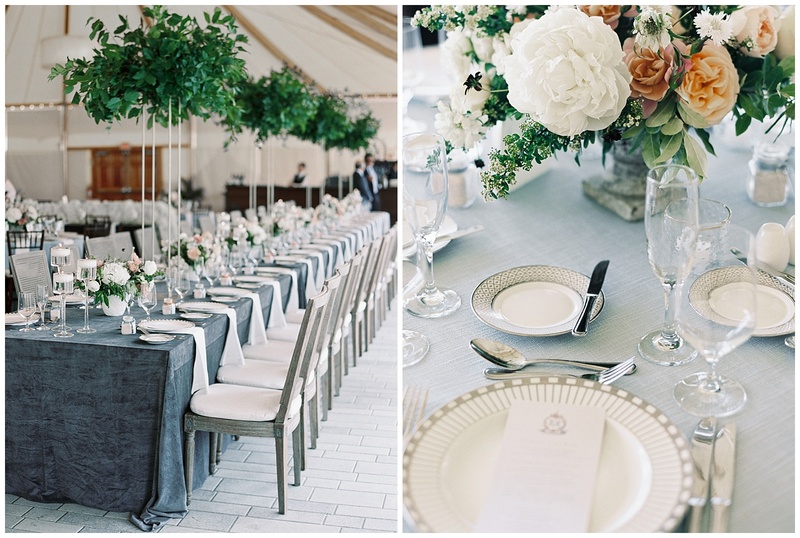 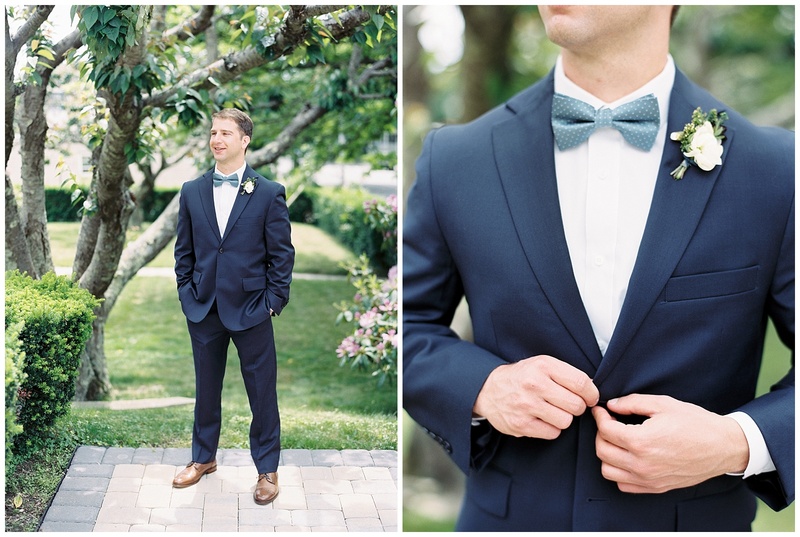 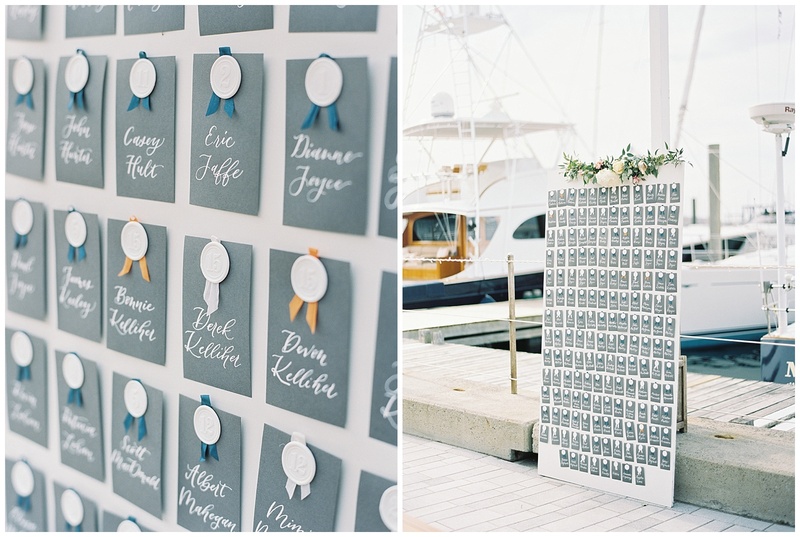 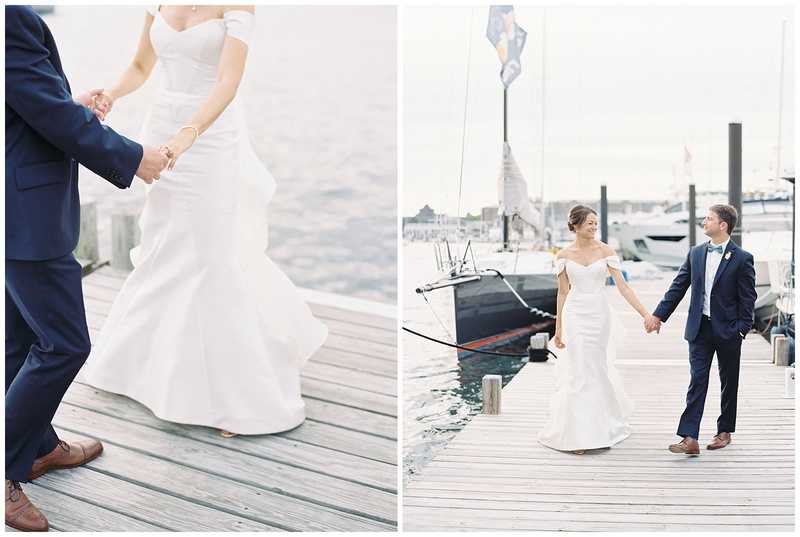 Meghan and Brian wed in a chic coastal celebration at The Bohlin in Newport, RI this summer. 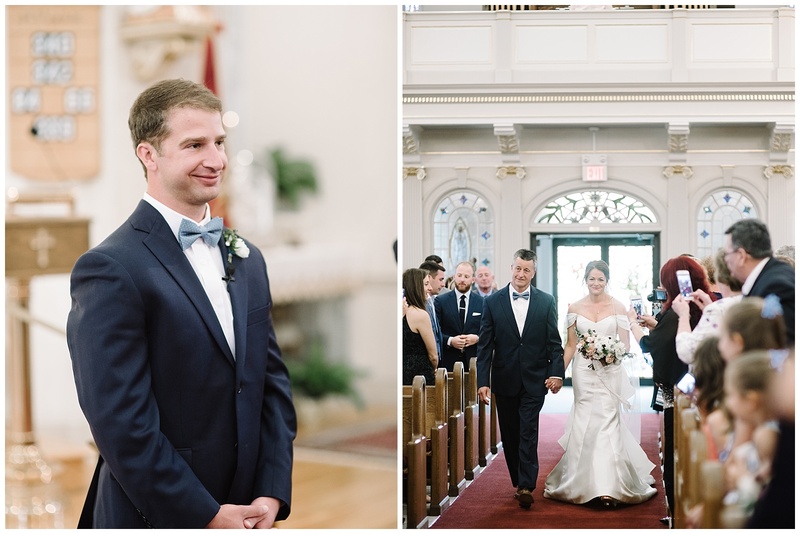 The two met at Syracuse University seven years ago, and have been nurturing a long distance relationship between Boston and NYC since graduation. 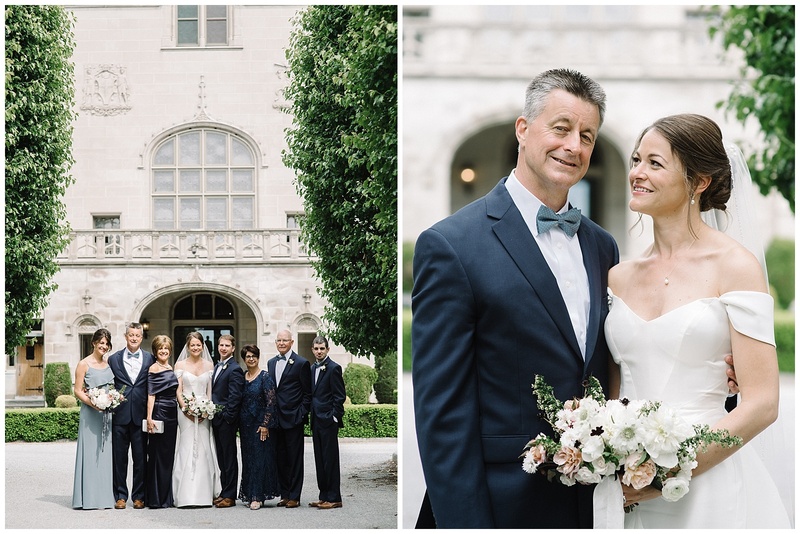 And with a touching engagement in a quiet park, looked on from afar by adoring friends and family, this couple began the next chapter of their love story. 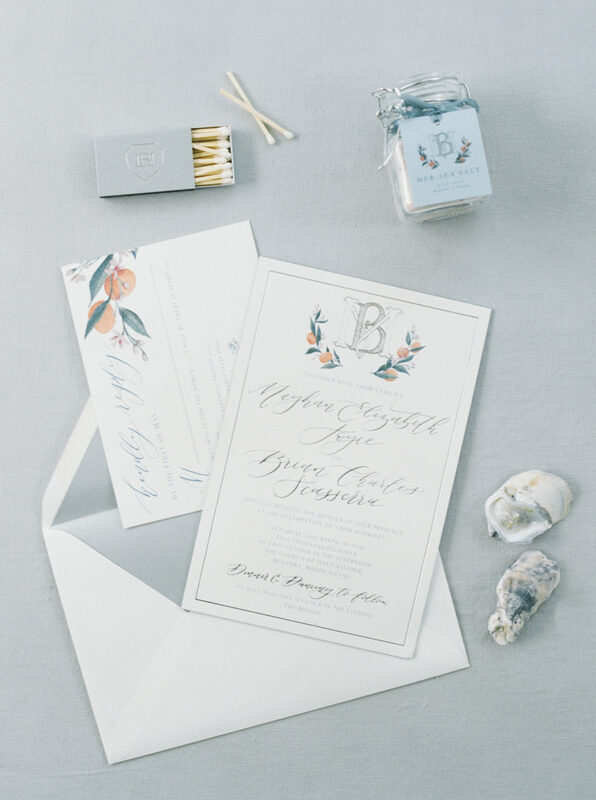 Meghan wore her late grandmother’s ring, as well as a comb with lily of the valley, her grandmother’s favorite flower, in her hair. 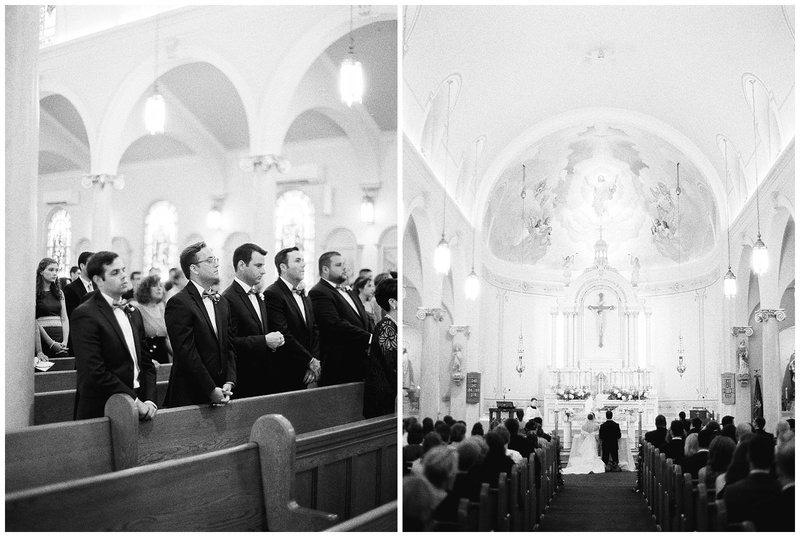 Brian’s grandmother’s misselette (her personal Catholic prayerbook in the family for many years) sat on the altar throughout their ceremony. 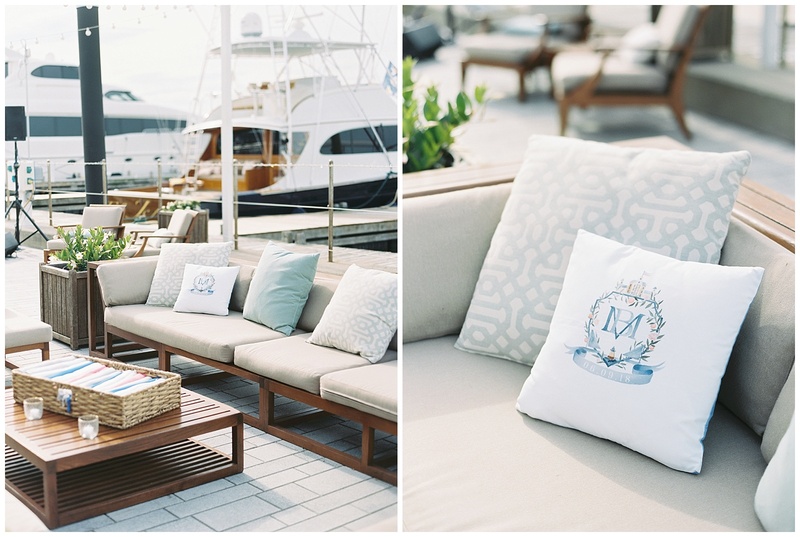 They incorporated many beautiful elements into their design including the floral archway entrance to their reception tent, an enchanting seating chart to their custom crest, hues of peach and dusty blue throughout as a nod to their alma mater, and imprinted pillows used for lounging during cocktail hour. 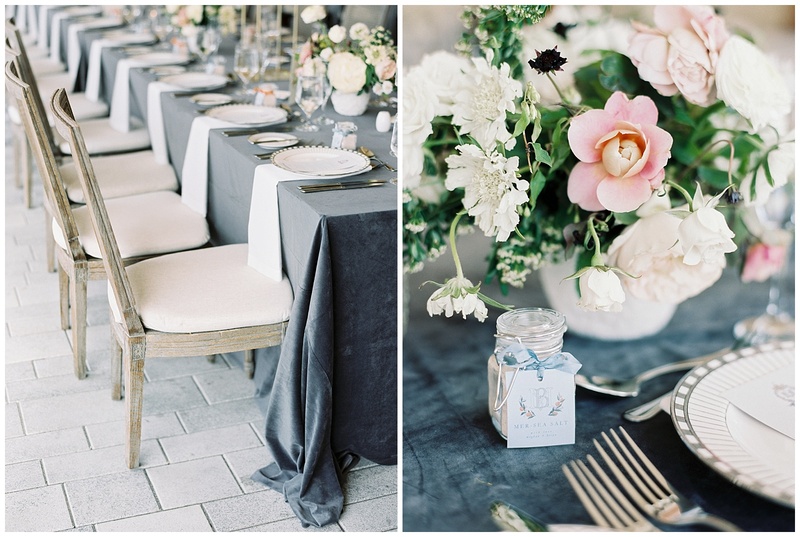 Festive sea salt wedding favors were given as guests departed, to savor and reflect on the celebration in their own homes for days to come.